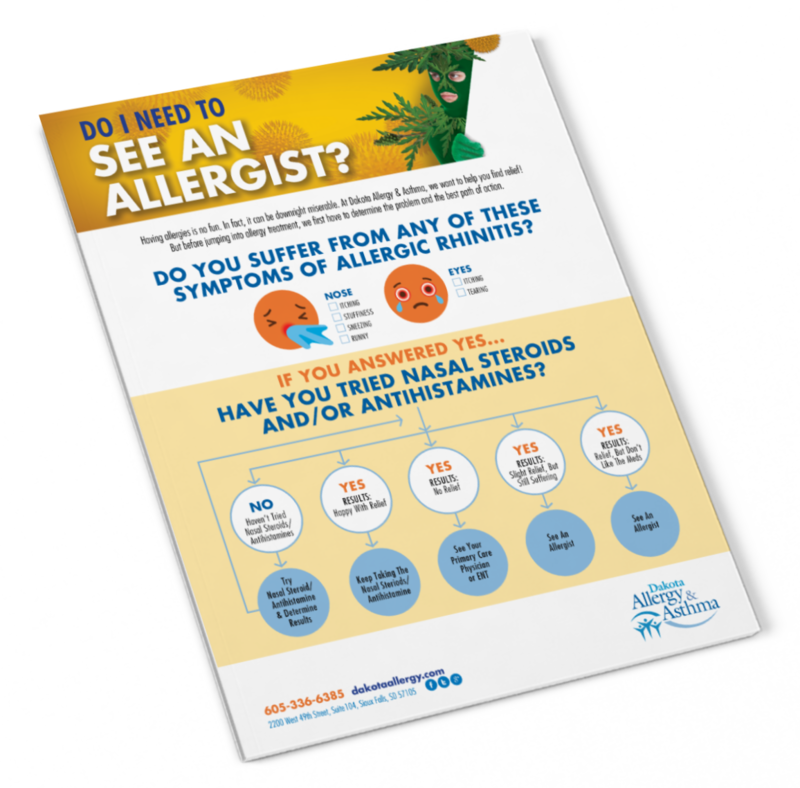 Download “Do I Need To See An Allergist?” Guide Now! We ask ourselves dozens of questions everyday. We don't always get an answer or if we do, the answers can be hard to come by. So let us make your life simpler and at least help you answer one question that many South Dakotans have been asking themselves the last couple months, "Do I need to see an Allergist?" Board Certified Allergist, Mark Bubak, MD, laid out a road map to help you find the answer to this question. But first, to ensure the answer is best suited to you and your needs, you'll have to answer a couple questions on your own. After answering a few simple questions, this road map will lead you down the right path to find relief from your allergy symptoms.